Re-decking services save Arnold homeowners tons of money! The average wood deck lasts just 10 to 15 years. Eventually it will need to be replaced: eventually, but not quite yet. As long as you have kept up with regular, routine maintenance, the support structure of your deck is probably still in great shape. And if this is the case, you may be able to get away with Re-Decking. It’s like a facelift for your deck. The structure and frame of the deck is left intact, while the boards are replaced. Re-decking is a way of making the old look new again without sacrificing what still works. 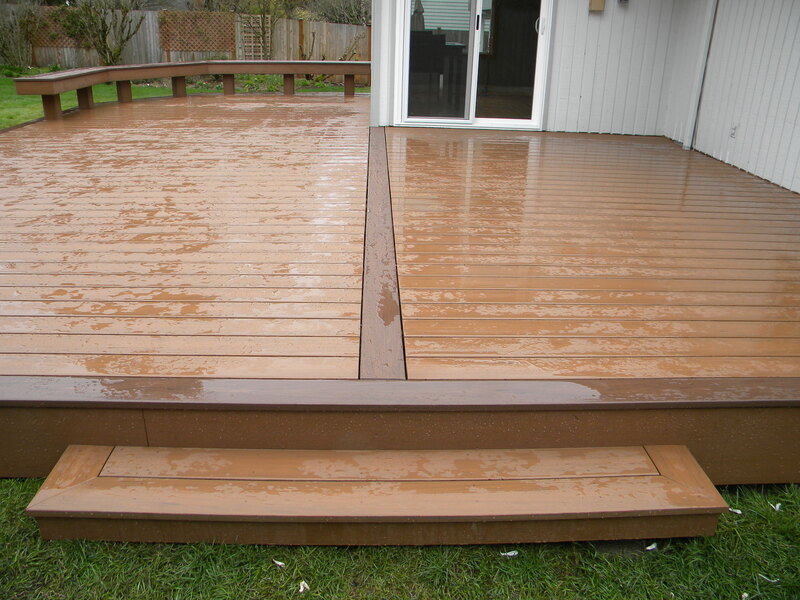 It is also a much more affordable alternative to total deck replacement. In fact, re-decking can save homeowners as much as 20% over the cost of a new deck. Your deck will look brand new without the high price tag. That’s what we like to call a win-win. Of course, not every deck is a candidate for re-decking. What condition is the wood currently in? If the above three areas of the deck are in good shape, you are probably a candidate for re-decking. With 40 years of experience, Freedom Fence and Home has provided the highest quality fence and decking services to its many residential and commercial clients throughout Maryland. Our crews are highly trained and ready to help. Freedom Fence and home has successfully completed hundreds of re-decking and deck replacements projects throughout Arnold and the surrounding area. If you have any questions about Re-decking in Arnold, please contact Freedom Fence and Home by calling 443-271-6841 or visit our website. You can also follow us on Facebook and Twitter! This entry was posted on Monday, January 26th, 2015	at 7:03 pm	. Both comments and pings are currently closed.